Upgraded throughout, the Squier Standard Telecaster Electric Guitar features a fast-action neck profile modeled on a late '60s Tele. A hot single-coil pickup in the bridge position provides all the bite you want for stinging leads. 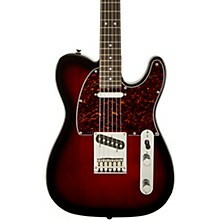 In the neck position, a chrome-covered single-coil provides clear, sweet Tele tone. 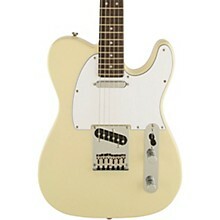 Agathis body and maple neck with a Indian Laurel fretboard adorn this Squier Standard Telecaster.